After a long morning of traveling by coach and a walk in the blazing afternoon sun, this was my reward. 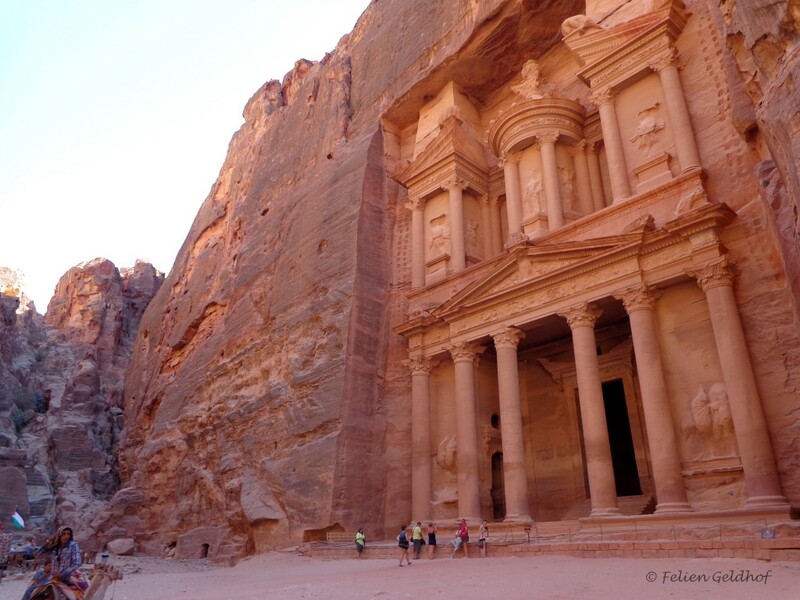 That very first glimpse of ‘The Khazneh el Faroun’ or ‘Treasury Of The Parooh’ in Petra was a moment where I was totally speechless and so excited to continue the walk to the temple. The traveling journey was long forgotten. It is part of the ‘7 New Wonders Of The World’ and I’m not surprised by that at all. So much history, so much detail,… I felt so small.